Safefood 360° is a fully integrated application where various modules communicate with one another. This means that information can be quickly retrieved using the 'related records’ feature. Select an entity in the application such as an Employee. 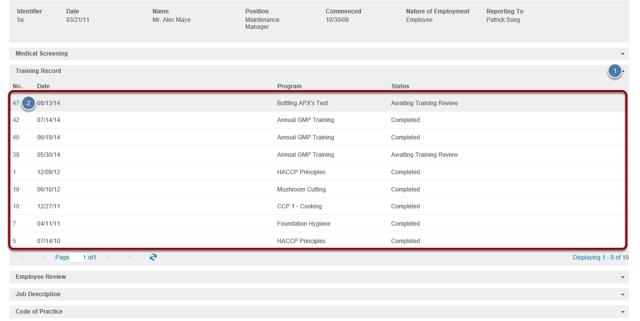 On the entity page you will find a number of panels which you can expand to view the relevant related records. Expand and collapse the panel. Every program in the application provides the related records facility allowing quick retrieval of any records generated from that program.